Throughout his 25-year career, alternative cartoonist/screenwriter Daniel Clowes has always been ahead of artistic and cultural movements. In the late 1980s his groundbreaking comic book series Eightball defined indie culture with wit, venom, and even a little sympathy. With each successive graphic novel (Ghost World, David Boring, Ice Haven, Wilson, Mister Wonderful ), Clowes has been praised for his emotionally compelling narratives that reimagine the ways that stories can be told in comics. 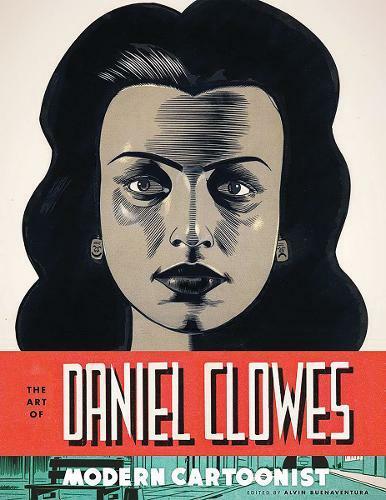 The Art of Daniel Clowes: Modern Cartoonist is the first monograph on this award-winning, New York Times-bestselling creator, compiled with his complete cooperation. It includes all of Clowes’s best-known illustrations as well as rare and previously unpublished work, all reproduced from the original art, and also includes essays by noted contributors such as designer Chip Kidd and cartoonist Chris Ware.